Call us today for wide format copiers! How many copies do you need? Hundreds? Well, that company meeting of yours isn’t going to provide its own numbers, progressions and revenues, especially not with that old beat up digital copier or busy schedule of yours. Looks like you may be in need of some quality color copiers for your office. Welcome to Brian Parisi Copier Systems Inc, your premier provider of digital copiers. 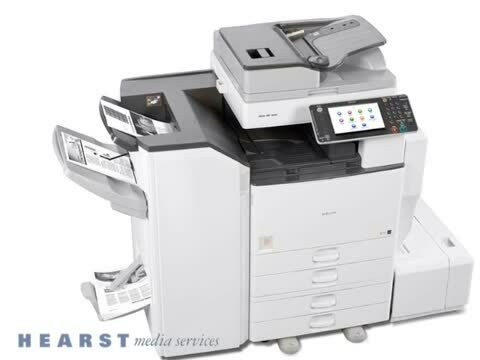 As an independent, locally owned and operated business in Buffalo, NY, it is in our best interest to provide our clients with the industry leading digital copiers, low prices and speedy and reliable installation and maintenance services. Whether you need color copiers or wide format copier, we have just what you need, at a price you can enjoy! For well over 25 years, we have served Buffalo, NY with the finest in Ricoh Products and digital copiers. Our highly experienced and continuously trained professionals and service engineers will customize a plan that will best suit your needs to reduce the costs associated with producing, distributing, managing and protecting your documents. We carry an extensive supply of color copiers, wide format copiers, O.E.M. parts and supplies. Here at Brian Parisi Copier Systems Inc, we offer lifetime customer support to assure the most efficient and effective performance of your digital copiers. From installation and training your staff to gain the most from your digital copier equipment, to follow-up and maintenance, you can count on our professionalism to help maintain and enhance your company’s document management needs. If your just so happen to suddenly run out of toner, you can count on our 24 hour, same day response service to be there within an hour or two. To learn more about Brian Parisi Copier Systems Inc please visit our website or give us a call today at (716) 568-8800. We look forward to being your number one choice for all of your digital copier needs in Buffalo, NY! Response Same day on-site service says it all. We are there when you need us with parts, supplies and professionals. Our fleet of vehicles and trucks means fast response and control of deliveries and requests for service. Forward any attachment or email a message to a Ricoh HotSpot device using your Smartphone, laptop or tablet. Ricoh partners with Rosetta. Technologies to engineer MICR versions of Ricoh's award-winning laser printers for check printing and other MICR applications. Is a configuration tool for customizing printer driver settings to fit the needs of different environments or company policies. Let Ricoh be your one-stop partner to deliver end-to-end solutions that automate your critical business processes. RICOH - Local and National.